(2) Four Button, 1-Way Transmitters that are compact and easy to use. Up to 1,00 foot transmitter range*. Turn on rear defrost with remote for additional $25. 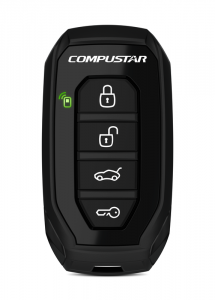 Two step unlock with driver’s door priority add $50. Control power sliding doors for $25 per door. Add alarm and shock sensor for $115.